After Sheff v. O’Neill, Hartford, Connecticut, created a new model for school integration. Now a conservative law firm wants to dismantle it. On a Saturday morning in mid-January, 150 residents crowded inside the Hartford Public Library to commemorate the 30th anniversary of Sheff v. O’Neill, a court case that transformed public education in Connecticut. Seven years after that filing, the state’s Supreme Court ruled that racially segregated schools denied Hartford children their right to an equal education. As a result, nearly half of all Hartford students learn in integrated settings via magnet schools or by enrolling in nearby districts. Participation is voluntary, and the plaintiffs vow they will not stop fighting until every student in Hartford who wants to attend an integrated school can do so. Three decades ago, 80 percent of Connecticut’s black and brown students were concentrated within 14 of its 165 school districts. At the time of Sheff’s filing, students of color comprised more than 92 percent of Hartford’s public-school enrollment, while in the 21 surrounding suburbs, only seven had school districts with minority enrollment that exceeded 10 percent. While schools in the Hartford region are more integrated today, the Sheff remedy has fueled resentment among those still enrolled in traditional public schools, with some parents feeling like their children are losing out in a two-tiered system. Sheff is also unpopular among many of Connecticut’s politicians. State leaders resent the amount of money they’ve spent on policies they feel a court has forced them to green-light, and local officials don’t like ceding some decision-making power to the plaintiffs, who privately negotiate policy that otherwise would be handled by elected representatives. For a school to be considered integrated under Sheff, no more than 75 percent of a school’s student body can be black or Latino, and no less than 25 percent can be white or Asian. In 2017 the state tried loosen these benchmarks, in an effort to open up more magnet seats to minority students. The plaintiffs, and ultimately the judge, rejected this. “Equity cannot favor more segregation,” ruled Superior Court Judge Marshall K. Berger. Now Sheff plaintiffs are waiting for a new trial date, to push the state to fund additional magnet-school seats. LaShawn Robinson is the named plaintiff on the new federal suit, Robinson v. Wentzell. A Hartford mother of five, she’s suing against what she believes is a racially discriminatory system that barred her African-American son, Jarod, from accessing a magnet-school education. After multiple years applying through the Sheff lottery system, Jarod couldn’t get off the wait list. Robinson said her son was getting a “decent education” at his neighborhood school, but she wanted him to have an “extraordinary” one. This past October, the Pacific Legal Foundation argued before a District Court judge for their suit to move forward. “We’re challenging the racial quotas that require all magnet schools to be 25 percent white, and we’re challenging the lottery system itself,” Thompson said, alleging the lottery discriminates based on race, though officials stress the lottery is race-blind. A Connecticut Mirror report found that while more suburban students than Hartford students applied to attend the integrated magnets, Hartford students had better odds of getting in. When I asked Thompson about why he says the lottery is racially discriminatory, when its algorithm doesn’t consider race, he admitted it’s possible they’d drop that claim if, after going through a legal discovery process, the attorneys confirm the lottery is race-blind. “It’s possible we’d discover enough info and wouldn’t pursue that claim, but a lot happens behind closed doors, and we don’t know exactly how it works,” he said. The NAACP LDF intervened in the Robinson suit on behalf of the Sheff plaintiffs, and McClellan stressed the importance of seeing the case within a larger context of the Pacific Legal Foundation’s broader assault on civil rights. “We know this is not just a threat to Hartford, but for the development of law in this country,” she said. Indeed, the Pacific Legal Foundation has been open about its hope to use Robinson to set federal precedent around removing race-conscious measures for promoting diversity. In 2007, the last time the US Supreme Court heard a case concerning school integration, the justices upheld, in a 5-4 decision, the ability to use certain strategies to advance racial diversity, like drawing attendance zones that take into consideration the demographics of students’ neighborhoods, and allocating additional resources for programs like integrated magnets. “This Nation has a moral and ethical obligation to fulfill its historic commitment to creating an integrated society that ensures equal opportunity for all of its children,” Justice Anthony Kennedy wrote in his concurring opinion. While the 2007 decision did limit the available legal options to further racial integration, “the Supreme Court’s decision does not stand for the proposition that school districts can’t think about race, or plan for racial integration,” Phil Tegeler, the executive director of the Poverty & Race Research Action Council explained in 2017. A Labor Strike at a Charter School? Martin says ultimately her organization and the Robinson plaintiffs want the same thing, which is greater access to magnet schools. For Sheff advocates, that means ramping up pressure on the state to expand the number of seats it will fund, until demand is fully met and there are no more student wait lists. Some worry a win for the Robinson plaintiffs will mean a loss of funding for Hartford’s traditional public schools. As a result of Sheff, state legislators have spent substantially more money per-pupil on Hartford students than in other racially segregated parts of the state. While some Hartford City Council members and school-board reps say they’ve tired of the lawsuit and want more say in how those additional dollars get spent, legal experts say it’s unlikely the state would continue spending on Hartford at its current levels if it weren’t bound by Sheff rules. A spokesperson for Connecticut’s attorney general declined to comment for this story. On the campaign trail, Connecticut’s newly elected Democratic governor, Ned Lamont, said he’d oppose opening new magnet schools, and would support efforts to free the state from Sheff’s legal mandates. “I think we can take a pause on this, on the legal remedies,” he told The CT Mirror in October. Lamont wants to focus his attention on investing in neighborhood schools, though he also pointed to declining enrollment in suburban schools, and said maybe financial incentives could help induce those schools to voluntarily enroll more Hartford students, too. Lamont’s Democratic predecessor, Dannel Malloy, was also notably hostile to Sheff, going so far as to call the lottery discriminatory and likely unconstitutional. Sheff advocates counter that state legislators’ hand-wringing over their constitutional obligations is why parents had to file the lawsuit in the first place. 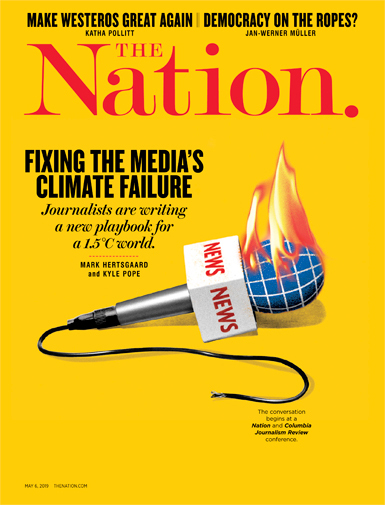 The New Haven Independent reported in September that a local education-reform group, the Connecticut Parents Union, was aiding the Pacific Legal Foundation in finding plaintiffs for a second case. 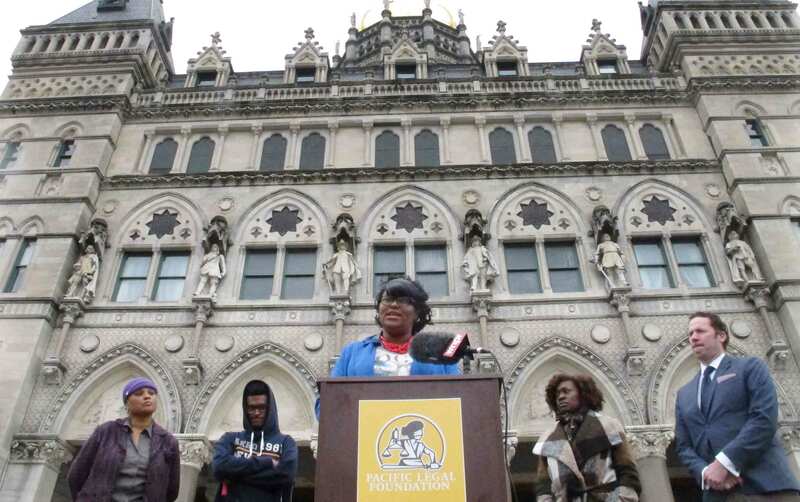 Gwen Samuel, the founder of Connecticut Parents Union, says her group has 125 members statewide, and has also been helping to build support for the Robinson lawsuit. On the other side, rallying proponents of Sheff to defend the lawsuit can be difficult. “Parents are busy, they have to get dinner on the table, and homework done, and, frankly, for parents whose kids are already benefiting from a magnet school, it’s a little harder to convince them to come out and fight for that opportunity for more students,” said Martin. Martha Stone, the executive director of the Center for Children’s Advocacy and the lead attorney for the Sheff plaintiffs, said there’s a lot of myths surrounding the Sheff lawsuit, including that there aren’t enough white families interested in attending the magnet schools. “White families are on the wait lists too,” she said. “We have the wait list data, and there’s a lot of interest broadly in attending these schools.” Stone acknowledged that’s a separate matter from whether there’s adequate mobilization to support the magnets. “I think that’s where there’s been some difficulty,” she said. While there have been some bills to increase funding for magnets, and there has been some local organizing, it’s still been fairly limited. “No one can afford to hire a full-time organizer,” Stone said. The backdrop to all these legal battles is the fact that Connecticut has one of the largest achievement gaps between poor and wealthy students in the nation, as well as one of the largest household-income gaps. Connecticut relies more heavily than most states on local property tax to fund public schools, which means affluent towns have more dollars flowing into their schools than those in poorer communities. On top of all this, Connecticut is one of just nine states with a shrinking population, and its nonpartisan Office of Fiscal Analysis has projected budget deficits in the coming years. If the Robinson plaintiffs are successful, integration advocates worry Connecticut will see a return to de facto segregation. In 2014, Robert Cotto Jr., the director of Urban Educational Initiatives at Trinity College, published a report that found Connecticut charters were racially segregated, despite a statutory requirement to reduce racial and ethnic isolation. Connecticut’s Sheff magnet schools were the only choice-based option Cotto found that significantly reduced segregation. Charter schools are relatively limited in the state, though some would like to increase their number. Shavar Jeffries, the president of Democrats for Education Reform, a pro-charter organization, recently identified Connecticut as a state where his allies “have a strong foothold” after the 2018 election. Sheff supporters recognize the politics are challenging, in both Hartford and on the state level. And while the plaintiffs repeatedly put forth ideas to make Sheff more popular, including giving priority to people who have been on the wait list for multiple years, opening more dual-language magnets to attract more English-language learners, or requiring more regional coordination from the many small towns in the Hartford metro area, the state, thus far, has rejected all these ideas, citing cost pressures and fears of backlash. Rachel M. CohenRachel M. Cohen is a contributing writer for The Intercept and a freelance journalist based in Washington, DC.